As we come to the end of July, it’s time for another reading wrap up. Throughout the last month, I managed to finish 9 books (4 novels, a non-fiction book, a poetry collection, 2 graphic novels and a book of fairy tales). This takes my yearly total thus far up to a nice round 80, keeping me well on track to hit 100 before 2016 comes to an end. It was a good reading month overall, with lots of enjoyable books in the mix. I was especially happy to finally read a David Mitchell book – I’ve been wanting to try his work for ages – and wasn’t disappointed, so I hope to pick up more from him soon. The Bone Clocks is a multi-layered, intricately planned out fantasy saga that spans several decades and weaves together with immense skill. Another highlight was Tender Morsels, a whimsical fairy tale inspired novel with some very dark themes but a lot of heart. I also thoroughly enjoyed Milk and Honey by Rupi Kaur, a collection of simple yet beautiful poetry, and The Arrival by Shaun Tan, a silent graphic novel that manages to tell a poignant and very timely story about the struggles of immigrants without using a single word; relying instead on Tan’s stunning artwork and clever imagery. Truth be told, there wasn’t really a bad read to be found this month, so I’m excited to hopefully continue that trend into August. when it comes up against bullets? où est la chaleur humaine ? in heartache and broken dreams. this sorry world has known. As a bookworm, the lure of a good bookshop is something I am powerless to resist. There are a few in particular that have really caught my attention; ones that I am especially keen to try and visit at some point in my lifetime. Persephone is an independent publishing house and bookshop that carries beautifully produced forgotten classics, mostly by female authors, that are made onsite. I have a few of their books but have yet to visit their physical store. In a visit to London, a stop here would be at the top of my to do list. Icelanders are pretty obsessed with literature – yet another reason why I love the country so much. In fact, they have more bookshops per capita than anywhere else in the world, translate more books per capita than anywhere else, and used to have a blanket ban on TV broadcasts every Thursday to ensure people still had time to set aside for reading. I visited a few small bookshops during my visit to Reykjavik last year but hope to visit Mál og Menning when I return in October. It has multiple floors, carries both Icelandic and English books, and even has a café which has been decorated by local artists. Shakespeare and Co. has a very interesting past that’s worth looking into if you have the time. It has since cemented its place within France’s literary scene and has welcomed many famous authors through its doors over the years. With a higgledy-piggledy layout and books stacked everywhere, people will tell you it’s easy to while away a day here and that sounds pretty good to me. Foyles’ huge London based flagship store once held the record for being the largest in terms of shelf space and number of books displayed. Its eccentric past and business practices made it something of a local legend, fast becoming a tourist attraction in its own right. Having been thoroughly modernised since, it still draws in huge numbers of visitors from far and wide, only now for the impressive selection of books more than the spectacle of its management. What bookshops would you recommend I add to my list? Are there any you really hope to visit? Today is all about sharing the love with fellow underdogs within the book world and so I thought the most appropriate way to mark it was to essentially say a huge thank you for all the love I’ve received from the community myself, by showcasing some of the wonderful things that have been said by fellow authors about my most recent work, Seeking Solace. Feeling the love on Indie Pride Day. If you would like to pick up your own paperback or Kindle copy of Seeking Solace – or either of my novels – then simply click here if you are in the UK, or click here if you are in the US. 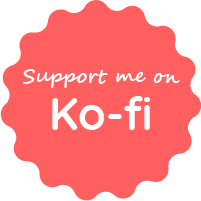 You can also find me on Goodreads, if you want to add the books there or see what I’m reading. Happy Indie Pride Day everyone, and most of all, happy reading!